Henry Senioli starred for the Flying Fijians to dash the hopes and dreams of our beloved Manu Samoa at Apia Park on Saturday afternoon. The slight halfback scored three superb running tries and had a hand in one other to completely dash the hopes and dreams of Samoa Rugby fans everywhere. 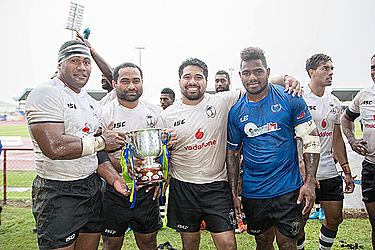 In the end, Fiji scored five tries, two in the first half and three in the second to Samoa’s solitary try in the first half in a dominating 38-16 performance. Fiji’s other tries came courtesy of forward Apisalome Ratuniyarawa 2nd five Vale Jatubua. Tusi Pisi added 3 penalties and a conversion of captain David Lemi’s try to aid Samoa’s tally. 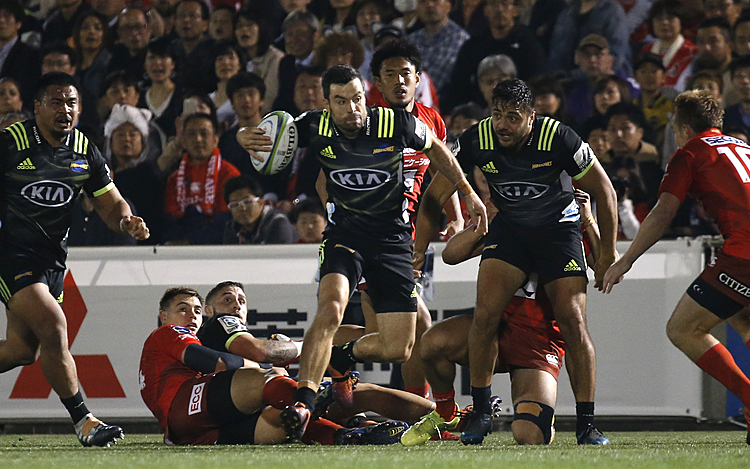 The fact Pisi missed two easy penalty goals in the first twenty minutes of the first half and avoided taking two kickable slots in the same timeframe spoke a lot about the misfired armoury of the Manu. There was some. But in the end there was nothing anyone could do to rein in the slaying at the Park. The death knell of the bell on fulltime was a welcome relief to a game well lost by Manu forty minutes earlier. Then, Manu led 16-14 at the 40 minute mark. A lead of distressing comfort after playing with a 15-point stiff northerly, that same one that Fiji would enjoy after the break. A two point lead was never going to be enough. And it was not. The fact rain began to also fall the start of the second half compounded Manu Samoa’s woes. Manu Samoa simply had no answer. There was no saviour on the day. Nor a hero of legends to emerge from a dark period of Manu Samoa rugby to save us. Not that Manu Samoa played terribly. They just did not have the same firepower that Fiji possessed. Not that Fiji played superbly either, but they did control the flow of the game particularly in the second half when the ball became a slippery hope. There were some rays of hope for Manu, and only so few. Captain David Lemi, who dismissed any hopes of retirement after the match showed he still has pace out wide to score Manu’s only try in the 20th minute from a quick tap by halfback Khan Fotuali’I from Fiji penalty inside the 22. Kieron Fonotia and Alapati Leiua showed purpose from scrappy play to advance the course, only at times. In the forwards Piula Fa’asalele won a few contests to get a few pats on the back at one stage. The scrum was okay against a tough Fijian pack, and the lineout went well, mostly. That lost lineout from a crooked throw two minutes from time was not the jumper’s fault. We needed that play to have had any chances of another try in the corner. It was not to be. Fiji were too good, far too fancy in the dry of the first half and the wet of the second half to allow Manu Samoa any long term happiness in the match. Seniloli’s first try in the 10th minute was pure spoiling stuff. Samoa had had all the ball up to that point only for the Flying Fijians to switch at will. Flyhalf Ben Volavola received the ball and cut inside, something he did often through that vacant channel around Samoa’s 10 and 9 and 7 defensive screen. He fed to center Asaeli Tikoirotuma who switched to fullback Timoci Nagusa who found Seniloli on the inside when Manu Samoa defenders had no more. In one sweeping movement against play, four Fiji backline movers touched the ball and manipulated space. The pattern would repeat in all five Fijian tries, a swish and flash of the sword in a clean slaying of the enemy. It was brilliant to see, something to admire even from the opposing side of the field. Fiji, you were too good. That has to be acknowledged.